Introduction: At first sight, the Clipper toolkit might seem to some like a source of legal problems for both its users and the owners of the online media. This is not the case, in fact the reverse is true, here we explain why. 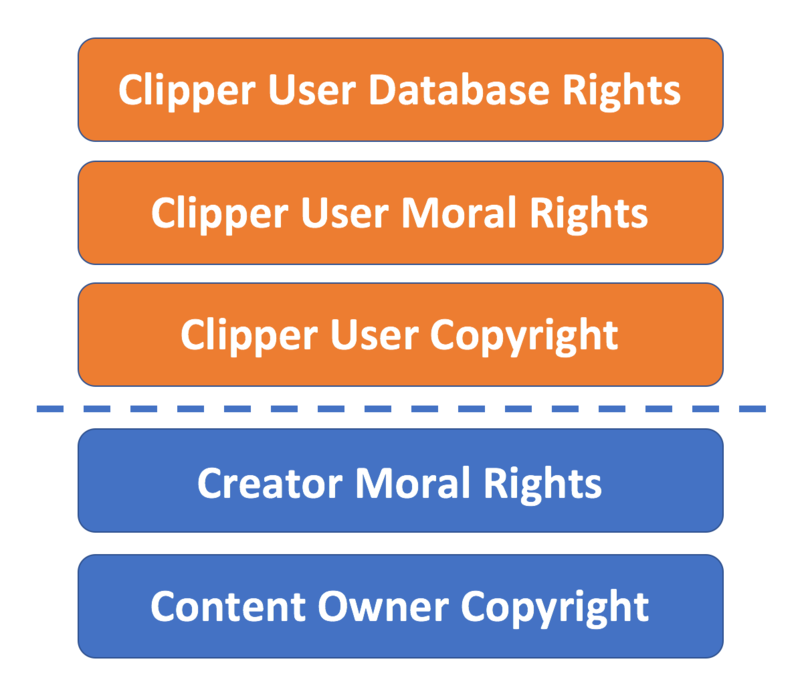 Clipper can help both content owners and users to keep within the laws concerning Copyright and Intellectual Property Rights (IPR). Before we go further in this discussion we shall assume that the reader has read the ‘How it Works‘ section of this website. We shall also assume a basic understanding of what copyright law is – but don’t panic! We quickly explain that next. We are not out of potential trouble yet, because there are other legal issues that we have to consider and we cover those next. Misrepresentation of authorship (also known as ‘passing off’ in legal terms), where someone gives the impression (by accident or design) that they have created some content when they have not. Under the law a content creator has the ‘right to object to false attribution’ of their work.